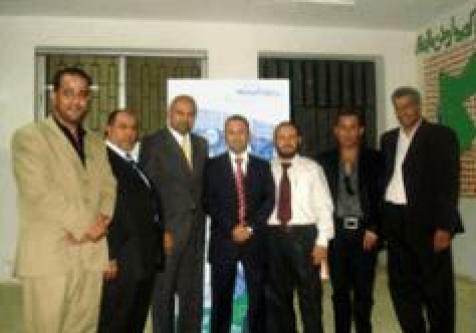 Middle East & North Africa Internet Technologies (MenaITech), a company specialized in developing human capital management systems for the Arab region, sponsored the graduation ceremony of the Dogara Cooperative, the official body for the village of Dogara in Irbid, to honor the 2009 high school graduates in the spirit of supporting local talent. The event was attended by influential figures from the governorate such as the Head of the West Irbid Union Coalition and His Excellency the Head of the Kufur Youba Security Center in addition to the graduates’ families and relatives. The festivities consisted of song performances and poetry recitals from the local community. MenaITech CEO Dr. Bashar Hawamdeh delivered the closing ceremony by handing out awards to the graduates, where Ms. Anfal Ibrahim al Sholoul received a laptop as an honorary award due to her academic excellence, an overall high school average of 96.4%. It should be noted that MenaITech sponsored the full undergraduate degrees of two students in Jordan last year. The candidates underwent a thorough selection process to qualify for the sponsorship due to excelling high school average scores and their leadership qualities as main criteria.